Hmm…not exactly. It’s about to get real. Writing from home takes DISCIPLINE. You need to treat your time at home as a 9-5 job. This is a BUSINESS. Rather than bring you on a tour of my day, I’ll share the things that you need to do to stay focused and be successful while working from home. Stick to a schedule-This is so important because, without a clearly defined day, other things can steal your attention. For example, I know that my day starts at 9 and ends at 5. That is 8 hours of productive time, and during this period I act as though I’m at any business. That means I’m not throwing in a load of laundry or cleaning the garage, it means from 9-5 I’m working on my business. Block of chunks of time-This goes into further detail about the point above. Yes, I may have 8 hours of work to do but what work am I talking about? That’s why I block off chunks of time for different things. From 9 am until 11 am I write, I schedule 1 hour for returning emails, calls, and inquiries. I schedule 2 hours for marketing and building new business, we don’t spend time talking about things that aren’t important. I go in with an agenda, and we get right to it. I schedule another 2 hours to meet with my authors and illustrators. I spend another hour getting my blog posts for the week started. Boom…8 hours vanished. Put down your phone-Put down the phone and turn off notifications for anything that is going to distract you. This includes email, Facebook, Pinterest, the internet and cat videos. Seriously, super distracting and not good for work or productivity. This is your business and life so treat it as such– Have a business banking account, an accountant, write off’s, a business license and whatever else you need to set up your writing as a BUSINESS. Yes, it’s up to you to ensure the success of your company, your writing, your future, your employees and yourself but that being said, remember to pay attention to the people in your life. Take a break from things when you can, make your spouse/loved ones/kids/pets/family feel important by giving them your undivided attention. That means when the work day is over, it’s over. Let voicemail pick up the call from the client that can wait until tomorrow, leave a few unfinished things on your desk so that you can play with your kids, turn off your laptop, unplug and call it a day. The work will still be there in the morning. As always, thank you for reading and stay tuned for more tips for success. April 3, 2017- It’s been said hundreds of times, but I’m going to say it once more, You only get ONE chance to make a first impression. It’s true! In this blog post, I’m going to touch on a few points that will help you connect with other humans and not only sell more of your books but also create a lasting first impression. First Impressions set the tone for success more often than class, credentials, and education. When you’re meeting a prospective buyer or contact, you need to make a lasting impression. Greet your potential clients as if they were an old friend, be kind, be warm and be friendly! Dress your best and be confident! When people like you, they see the BEST in you, and when they don’t like you, they see the WORST in you. Sure, you may not be everyone’s cup of tea 100% of the time, and that’s ok. Sometimes no matter what you do or say people will just not like you! If you’re planning on doing business with people, it’s important that they have some degree of connection with you. The cheapest, most efficient way to connect with others is to look them in the eye and smile. Another tip for making a great first impression is to be like a chameleon. This makes people feel as if they already know you. If they’re standing across from you and are confident, arms crossed and serious, you should do the same. If you subtly mimic your client, it lets them know that you are on the same page. For example, if your client was shy, withdrawn and quiet the last thing you want to be is in their face, loud, brash and flashy. Not only will they feel uncomfortable but you’ll almost always lose the sale. Take your cues from their behaviour and body language. Capture the Imagination and you capture the heart-Imagination triggers emotion, and emotion triggers attitude, attitude drives behaviour and behaviour triggers sales. Remember this simple formula and you’ll be successful in whatever you do. Make people FEEL something and you’re on your way to the top. I’m really excited to do this three part segment about exploring genres. As many of you know, I write and also publish different genres that include, but are not limited to: Picture Books for Children, Middle-grade Novels, and Adult Thrillers. Well, today I’m excited to talk about one of my guilty pleasures, but I’ll get to that in a second. I think that as an author it’s imperative to explore genres that are outside of your realm of writing. Not only does it make you a better writer but it also allows you to open up your mind to some really fun possibilities. Most writers are voracious readers, it’s all part and parcel of what we do! I’m not a huge fan of sci-fi or fantasy books, but I do put effort into reading them every once in a while. So, let’s dig right in and talk about one of my recently found favourite genres when you need something that is light, uplifting, and cozy! The genre we’re talking about today is called Cozy Mysteries or just Cozies. A Cozie is a subgenre of crime fiction where violence is downplayed, and the crime and detection take place in a small town that is a socially intimate community. I stumbled upon this genre when I was looking to take a break from some of the heavier, violent, mind-bending thriller fiction that I was writing and reading. It was time to find something a bit lighter and, well, cozy. Cozy mysteries are perfect for the beach or in front of a crackling fire or sitting by the window with a cup of tea as you listen to the rain tap at the window. These books make you want to snuggle up and disappear between their pages. If you haven’t tried Cozy Mysteries just yet, I urge you to do so. It’s a great way to take a break, to have fun and read something a bit more relaxed than usual fiction. I particularly like the author Laurie Cass and her book Borrowed Crime. It’s a really cute book and the cover has a picture of a cat and a bookmobile…SOLD! I hope that if you haven’t already, that you’ll check out this genre and expand your reading list a bit. It’s refreshing to read something that doesn’t make you overthink or keep you up at night. Try it and tell me what you think in the comments below! 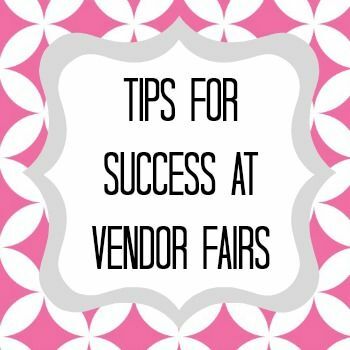 March 27, 2017-I hope that you’ve enjoyed this mini-series of tips to succeed at events as a vendor/business owner and that you’ve started incorporating them into your game plan. Here are the final keys to success! 7) Make friends with the vendors and the event organizer-You never know who you’ll meet at any of these shows so it’s best to arrive early and set up so that you can take a few moments before the show starts to scope the place out. I’ve had more vendors buy my products at shows than I can even count. People want to know what you’re selling, but more importantly, they want to make a connection with you. All of us have something in common, we’re all at the same show and we’re all trying to make money and contacts. At every single show, I gather business cards from other vendors tables to keep in my files. I’ve made so many contacts this way and have even hired people to do work for me because I liked what they were selling. I also hand out MY business cards in case I have something that another vendor is interested in. Maybe they aren’t but know someone who is. The opportunities are tremendous! Be sure to thank the organizer for having you and keep in touch with them, so they’ll invite you to their upcoming events in the future. 8) Have a draw at your table-A chance to win a prize is always a cool way to draw people to your table. I NEVER do a draw for the product I’m selling on my table because people say, “Let’s hold off buying the book in case we win the draw!” See the problem? You want people to buy your product, but you also need people to come to your table. If they come to your table and you engage them, they’ll probably buy what you’re selling. I use a prize draw at my table for two reasons, 1) To entice people to come to my table and 2) to collect information about my customer. Here’s how it works: I’ll do a draw for a $25 gift card to either the movies or for a pre-paid Visa card. The chance to win is displayed clearly on my table, and I have cards laid out with some pens so that people can enter the draw. On the draw card, I ask for their name, phone number and e-mail address and a little box that they need to check off saying it’s ok for me to contact them via e-mail. The customer fills it out and drops their entry card into a fishbowl. I contact them later to say thank you for entering the draw, I let them know if they won the prize and also invite them to follow my blog. 99 times out of 100 they’ll follow! This info is invaluable to your business but be careful not to break any privacy laws. 9) Enjoy yourself-This seems like a silly tip but I want you to know that it’s super important. It’s necessary to have fun and enjoy yourself because people can feel tension. They can sense desperation and if you’re trying to hard-sell them. This is not only a major turn-off for potential buyers but it causes you, the seller, unnecessary stress. Life is too short to be broke and stressed! You’ll be both if you take yourself too seriously. Body language is essential because most of what you don’t say is what people pick up on. Uncross your arms, stand up, smile and engage your customers. Be interested in what they have to say and enjoy the connection with other humans who you might otherwise never come in contact with. 10) Some people are rude, miserable and mean but there’s nothing you can do about it-Anytime you deal with the public you’ll come across that one special human who doesn’t like you, your product, your looks, your qualifications, your voice, your price…you get the picture. You can’t make everyone happy so don’t let the snarky comments of a single person get to you.Never let them dull your sparkle! For every miserable person out there, there’s five standing behind them waiting and willing to engage with you. You’ll get your share of miserable, rude people at events but that’s a reflection of them, not you. No matter what, remain professional at all times. I was at a show a couple of weeks ago and a woman said to me, “You don’t belong here, you know that right?” Her exact words, I’m not even kidding. I smiled sweetly and said, “Sure I do! I paid my money to be here just like you did and as far as I know, you’re not the event organizer who gets to decide if I belong here or not. I hope you have a great show!” Sure it was a bit on the snarky side but I smiled and looked her in the eye. I wanted her to know that she couldn’t shake me or my confidence. Funnily enough, she warmed up to me later and guess what? She was a part-time writer who needed a publisher…shoot, if she only knew someone! LOL. Be nice that’s all I’m gonna say. I hope that you’ve learned a couple of things from the tips I’ve shared and that you’re successful in every endeavor that you choose to embark on. Thanks for reading and for following my blog. Easter will be here in another few weeks and I just wanted to take a second to say PLEASE, PLEASE, PLEASE don’t buy bunnies as gifts for Easter. I’m not talking about the chocolate kind of course but rather the real-life kind of bunnies that require love, care, attention and basic necessities to survive and flourish. I know that a lot of people think it’s cute and tis the season but here’s what really happens. This is a really sad statistic. 95% of Easter bunnies don’t make it to the age of 1. Yes, that’s right, they don’t make it to 12 months old. It’s true that children would be excited to receive a live bunny for Easter but the novelty quickly wears off. A lot, if not most of these creatures are abandoned and neglected. Rabbits are a 10-year commitment and some of them can live even longer. Please don’t take this responsibility lightly and remember that they are a living thing that deserves a forever home. They’re not toys, they’re not disposable, they’re not starter pets, they’re not low-maintenance. They’re living animals with feelings and deserve to be treated as such. Rabbits are some of the most exploited and abused animals in the world and this fact breaks my heart. Please end the sale of rabbits during Easter and consider adopting a bunny from a reputable shelter during a different time of the year. 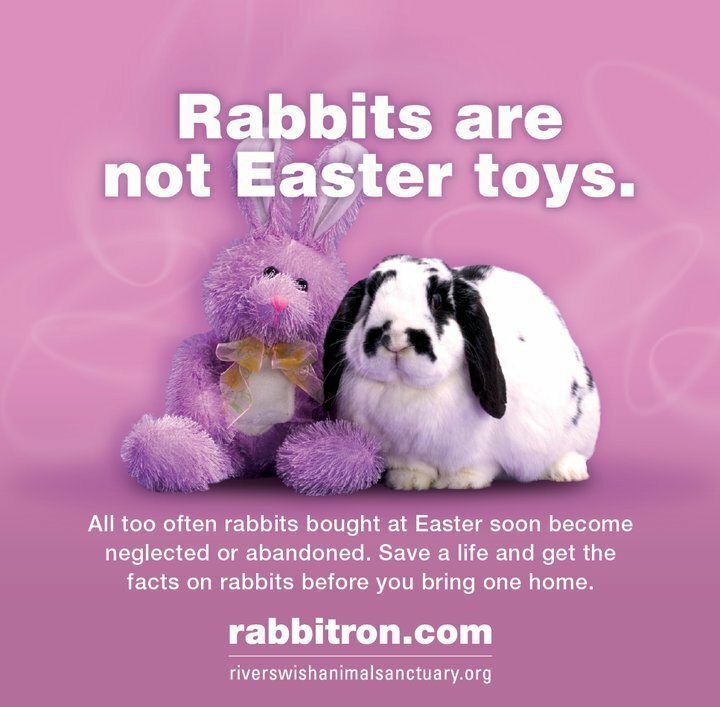 This Easter give a stuffed bunny, not a live one! Thanks for joining me for part two of a three-part series about succeeding at events. Let’s dive right into the next block of tips! 5) Dress the part-I know, this seems obvious, right? Not so fast. The saying goes, “Dress for the job you want, not the job you have!” Well, here’s the thing YOU are the business owner, and YOU are the vendor so look like it! Make sure that you’re wearing something that you feel confident in and that makes you look professional. Let’s be real for a second…people judge a book by it’s cover. It’s a fact of life that is sad but true. If you make a bad first impression by the wrinkled clothes you’re wearing that are covered in coffee stains, it’ll be really hard for you to convince people that they should even talk to you. It’s not fair but people are wired this way. Also, make sure that you’re not chomping on gum while speaking to a prospective buyer and that you don’t have anything on your face or in your teeth that shouldn’t be there. You never get the chance to make another first impression! 6) TALK TO EVERYONE-Yes, I put this title in bold because it’s SO important. Again, it may seem simple and obvious but for so many vendors it’s not. How many times have you been to a fair or an event like a home show etc. only to find the people at the booths staring at their phones? Lots. Your job is to talk to EVERY SINGLE, yes, you read that correctly, I said EVERY SINGLE person that passes your booth. I don’t care if it’s, “Hi! How are you enjoying the show?” Or if it’s just a simple, “Hi!” YOU MUST engage people if you want to make sales. A lot of the problem with vendors who complain that they made no sales is that they don’t engage people or are so obsessed with leveling up on Candy Crush that they won’t even make eye contact with their prospective buyers. They expect the people to come to them. This isn’t how it works friends. Sorry to say but people don’t give a damn. They’re busy and distracted and off in a world of their own. It’s up to you to greet them and tell them about your product. That’s the point, isn’t it? Just doing this will INCREASE your sales tenfold if you’re not doing it already…it’s a matter of statistics. The more people that know about your product, the more people will buy it. The best advice I ever overheard was at a Chapters/Indigo book signing. I was NOT the author in store but a customer that day. 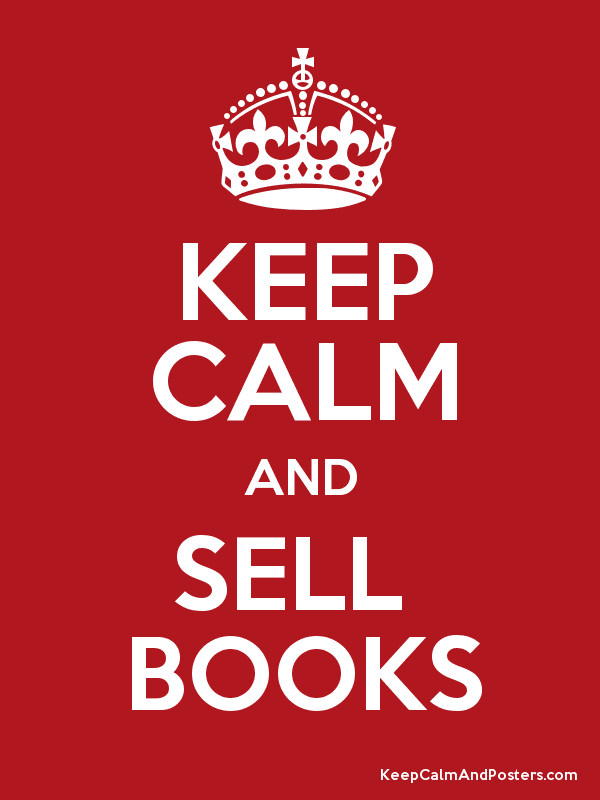 The author in-store called the manager over to her table and said, “This isn’t working, I haven’t made any sales. You said it would be busy, but no one has stopped by my table!” I stopped dead in my tracks and watched with excitement…the manager leaned over the table and said very gently to the self-inflated author, “Ma’am, maybe if you stood up and said hi to a few people instead of sitting at the table waiting for them to come to you, you’d have more success. No one is here to see you…you’re not James Patterson.” I wanted to clap but I restrained myself and watched the author pack up her fifty copies of unsold books and leave in a huff. Remember this one rule folks and you’ll be just fine. Engage EVERYONE. Bottom line, you are NOT special…no matter what your mom tells you. Join me on Monday for the final part of this series! As you know, I do my fair share of events and truth be told there’s no way to say whether the event that you are attending as a vendor will be successful or not. Multiple variables are beyond your control such as the traffic flow in regards to how many people attend the event, the weather if the event is indoors/outdoors, where the location of your booth is and so many other things. The good news is that the more prepared you are for your events, the better you’ll do regarding sales, connections, and networking. Here are a few tips that have worked well for me and I hope that by implementing the tools and adding them to your arsenal, that they’ll work for you too! Define success-Success can only be measured by what you say it is. So if getting the e-mail addresses of 100 people means success to you, then, by all means, do it! If it’s selling five pieces of your hand-made art, then strive for that. As you can see success is very personal. Everyone’s definition of success is different so be sure to know what you’re aiming for. Listen to what others are saying-There are some amazing shows that I’ve been fortunate enough to be a part of and other shows that have been really slow. Listen to the buzz around the event and listen to what other vendors are saying as a whole. That doesn’t mean that you have to agree with them, but maybe there is some merit to keeping your ear to the ground. There is someone locally that does shows that are AMAZING! She is organized, an entrepreneur does great advertising and knows how to bring in traffic, and after all, more traffic means more sales! Of course, when I heard about her and got into one of her shows, I knew that I HAD to do more! What she does is magic, and I always do extremely well at whatever she hosts. This works the other way too, sometimes there’s a general consensus that the host doesn’t care if the vendors do well or not and are only lining their own pockets. The point is, try to do as many shows as possible to weed out the bad ones. I hope that you’ve enjoyed the first part of this series. Follow my blog and return on Friday for part 2. Purchase Panda the Very Bad Cat!